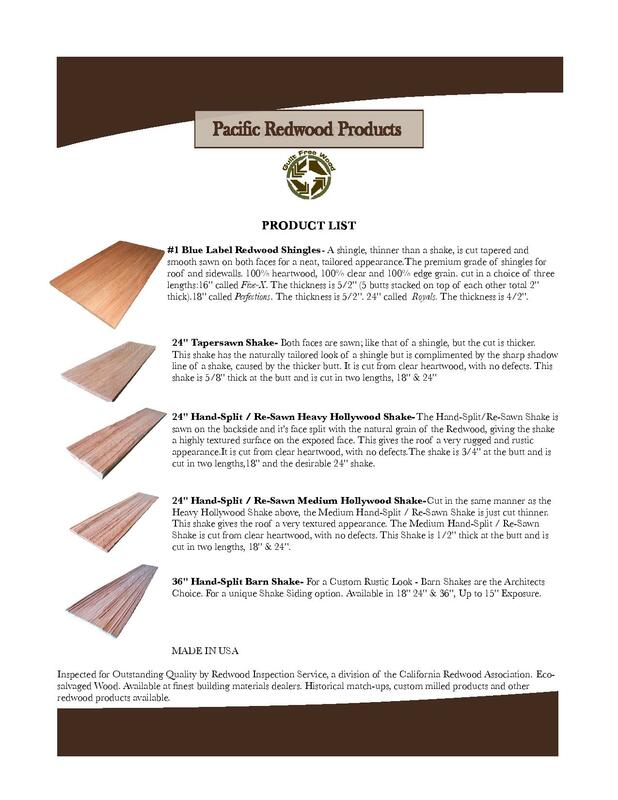 A brief overview of our best-selling products. 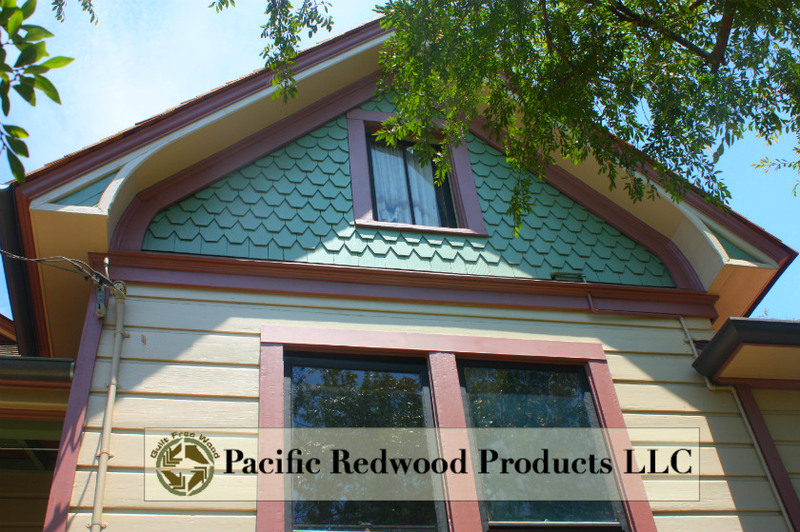 We carry a large assortment of styles and can custom cut or match historical and existing shingles and shakes. 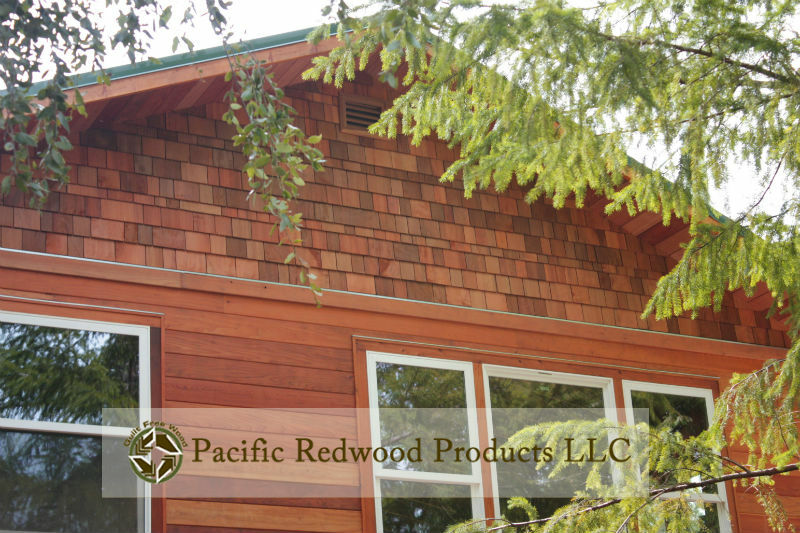 Redwood shingles are sawn wood tiles with smooth back and front sides used for roof and walls. 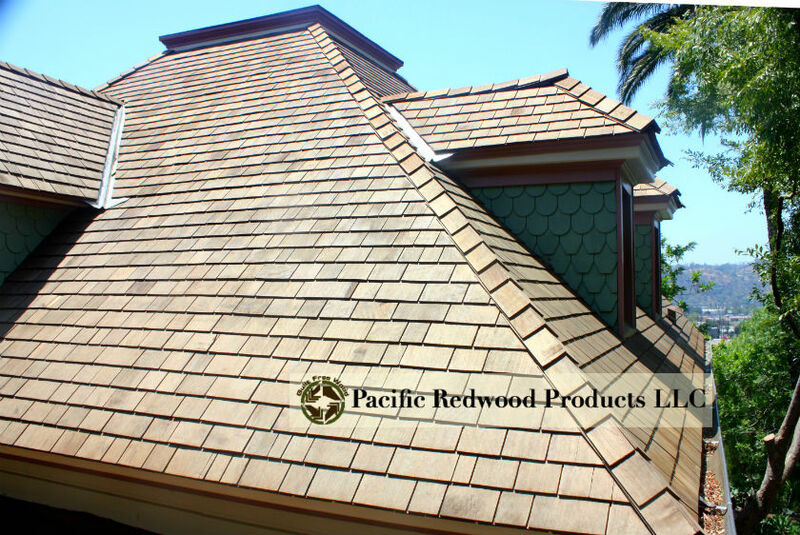 There are three sizes of shingles-16” (406mm) called FiveX shingles, 18” (457mm) called Perfection shingles and 24” (610mm) called Royal shingles. 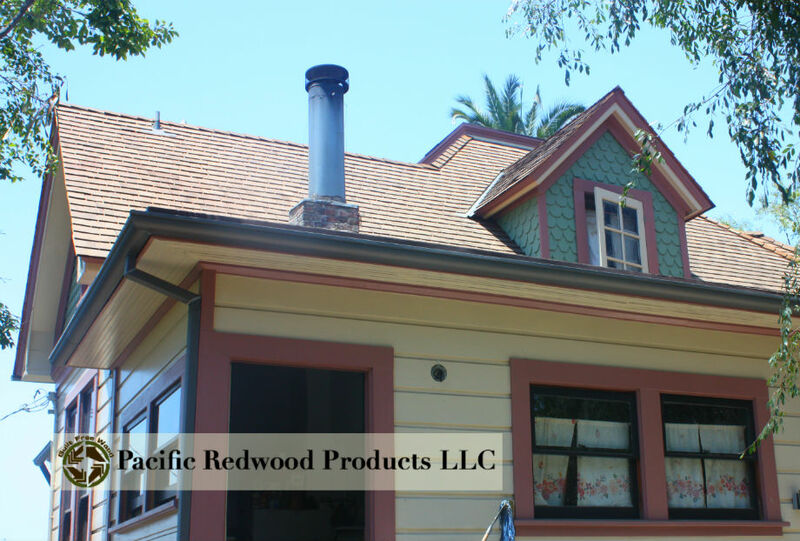 #1 Blue Label Redwood Shingles– The premium grade of shingles for roof and sidewalls. These top-grade shingles are 100% heartwood, 100% clear and 100% edge grain. 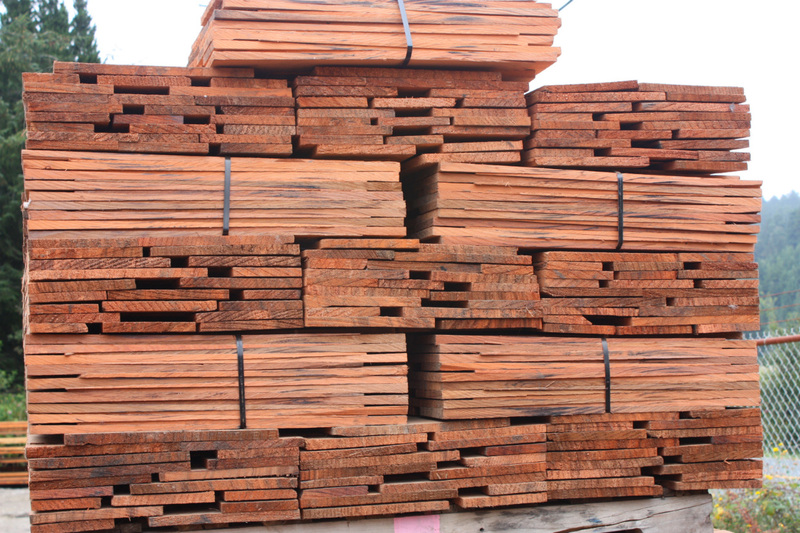 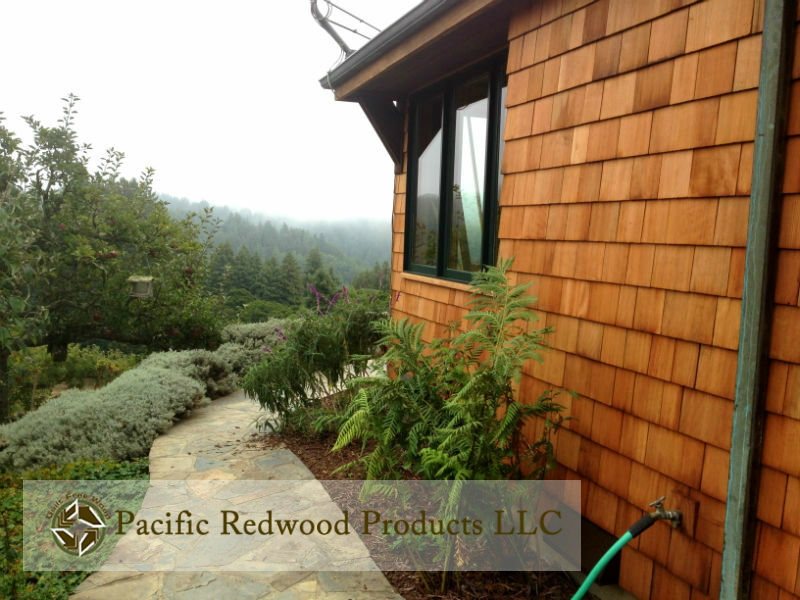 #2 Red Label Redwood Shingles– A good grade for many applications. 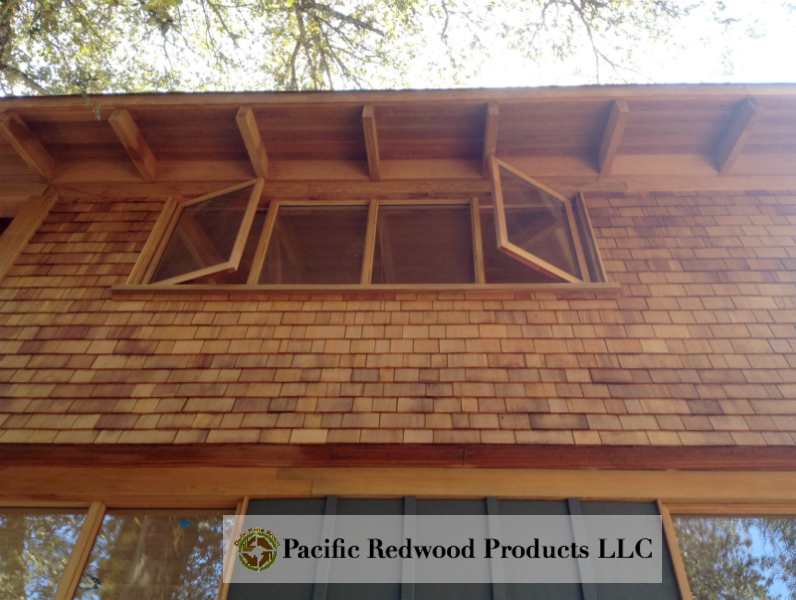 Not less than 10” clear area on 16” shingles, 11” clear on 18” shingles and 16” clear on 24” shingles. 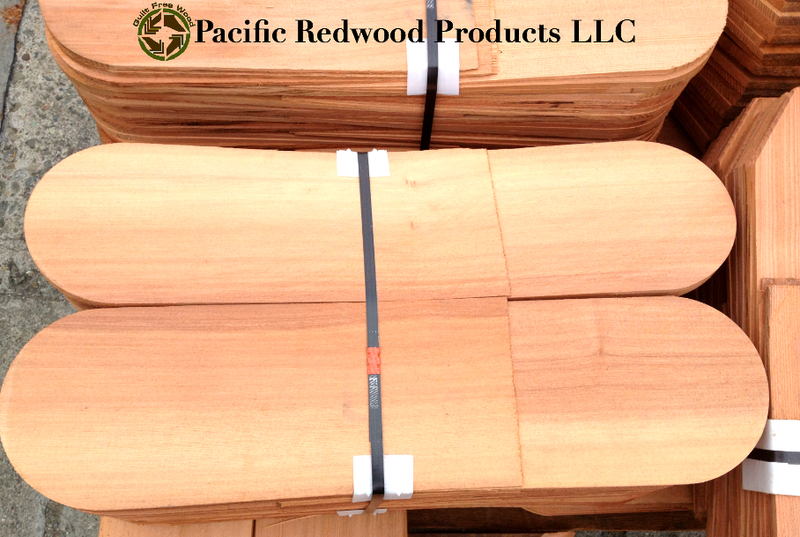 Flat grain and limited sapwood permitted for this grade. 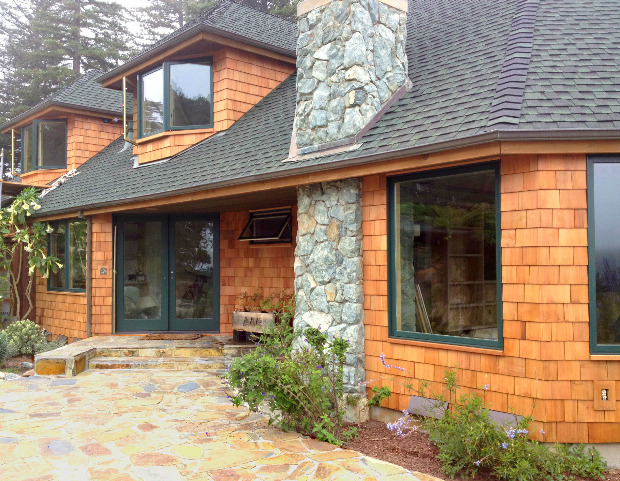 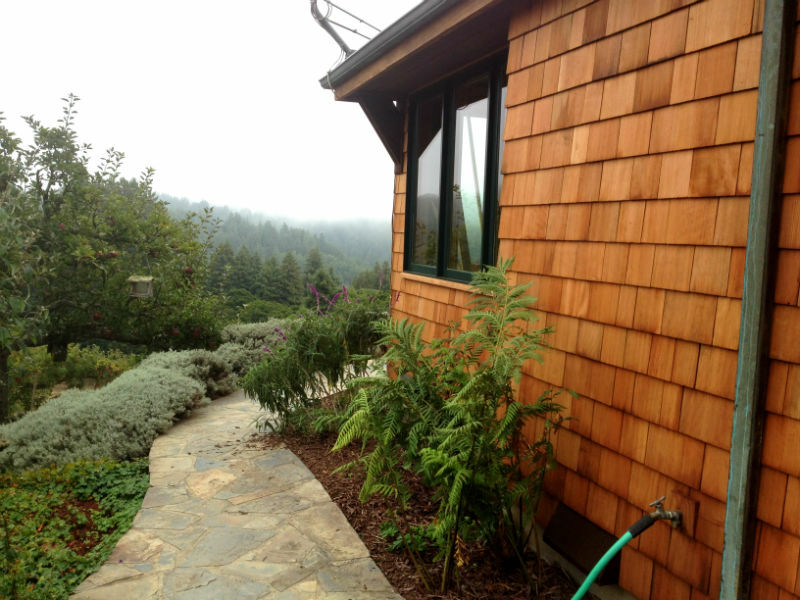 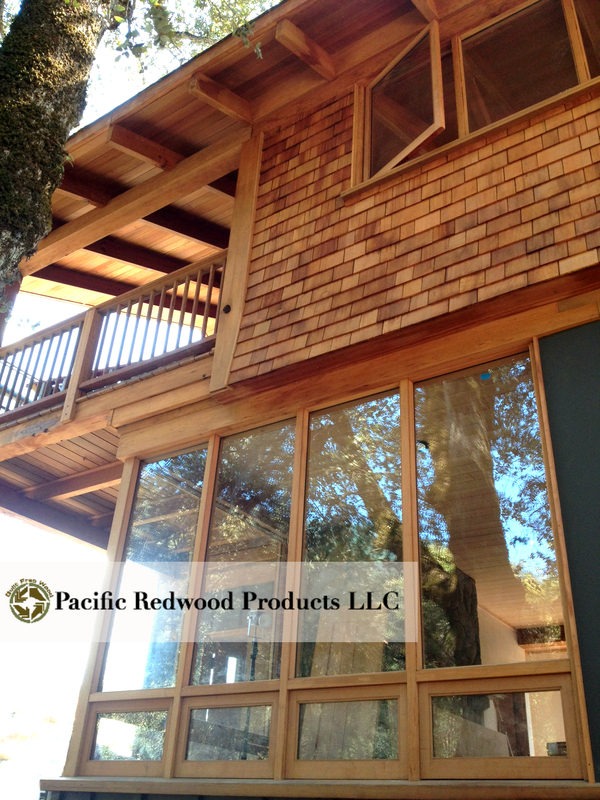 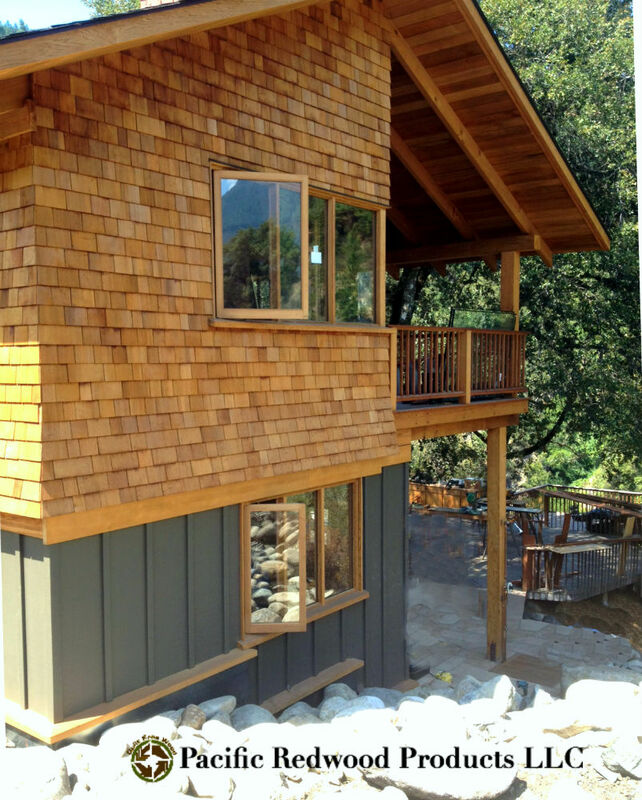 A beautiful Santa Cruz home featuring Pacific Redwood Products’ #1 FiveX redwood shingles. 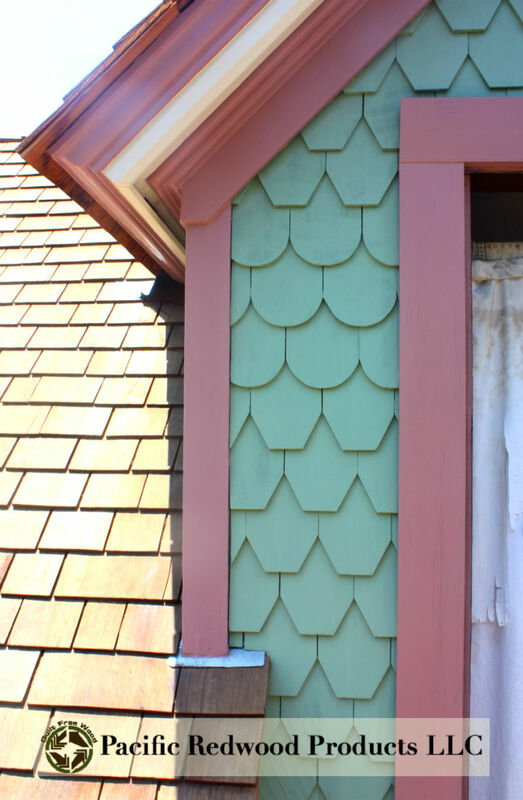 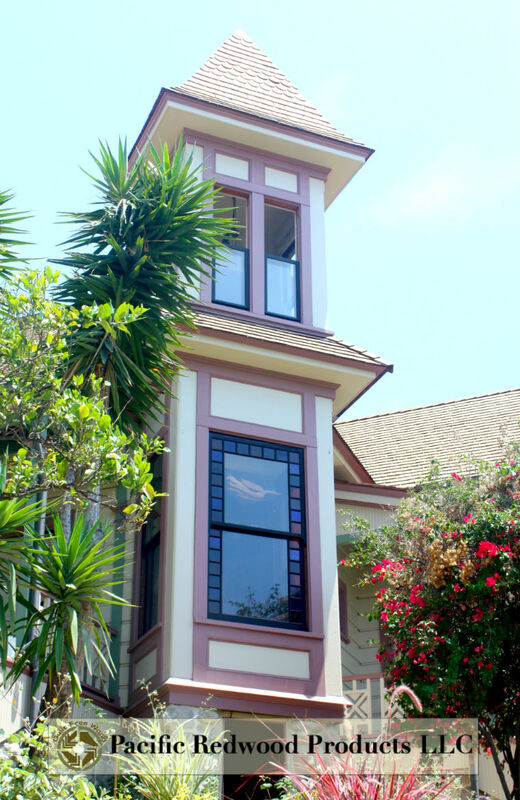 A beautiful restoration of a historical home in Los Angeles, using our fancy shingles. 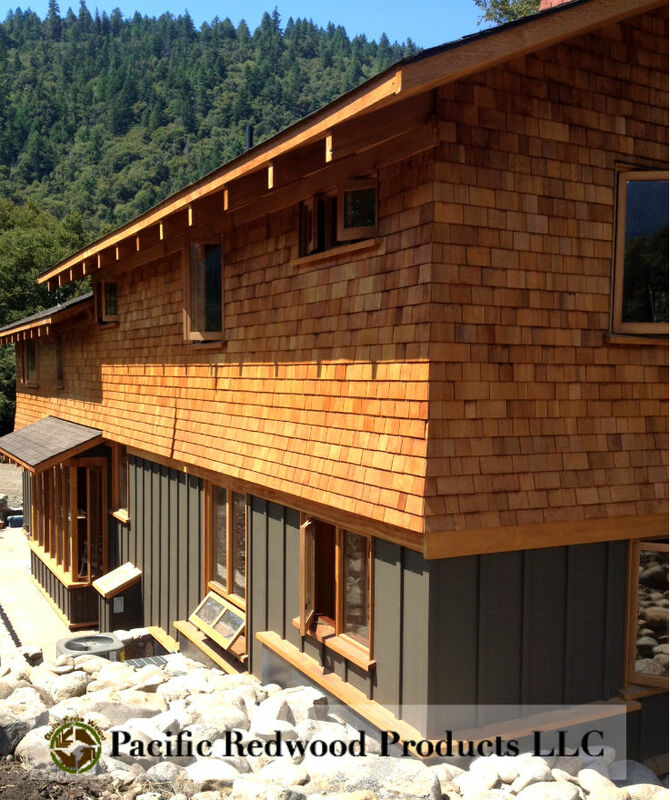 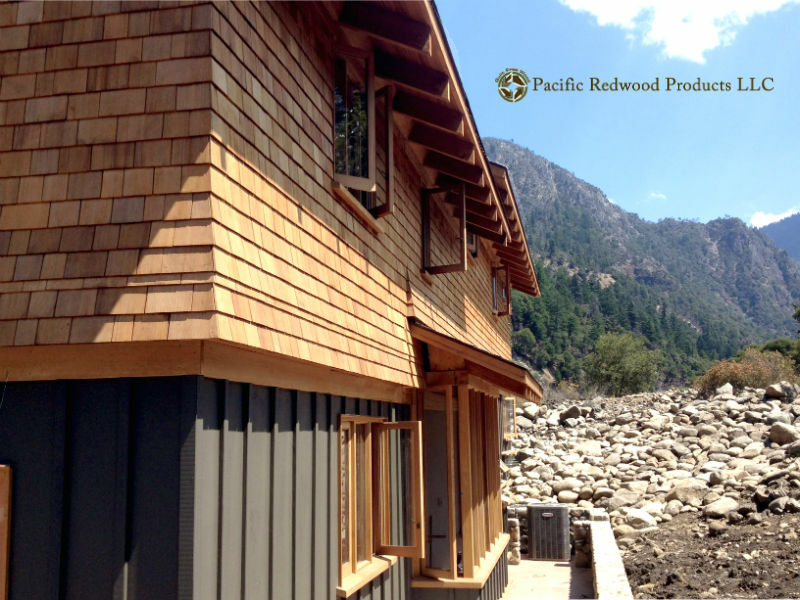 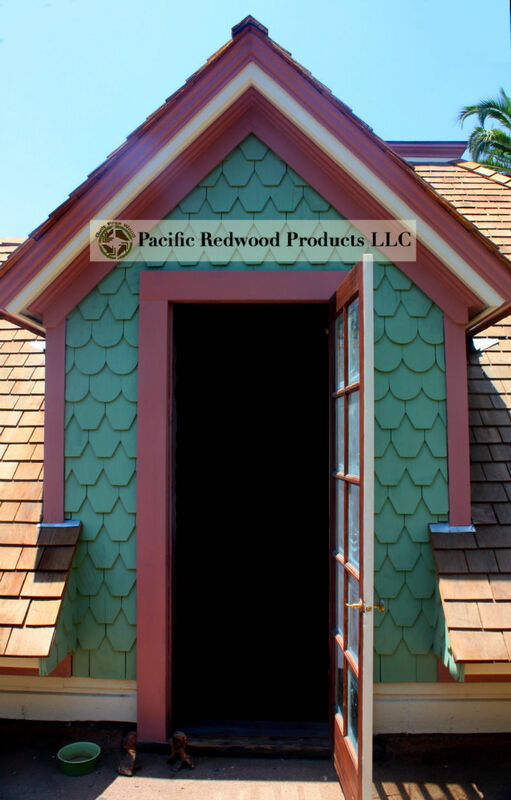 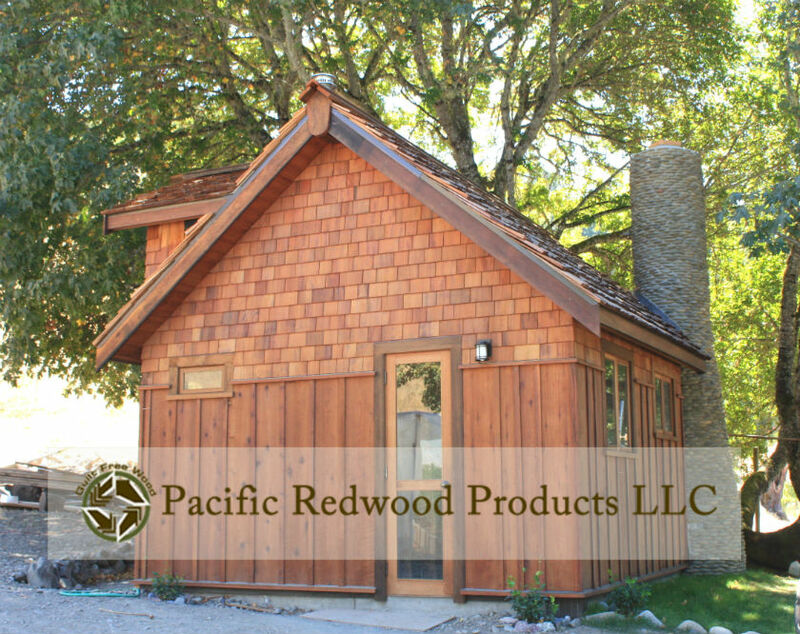 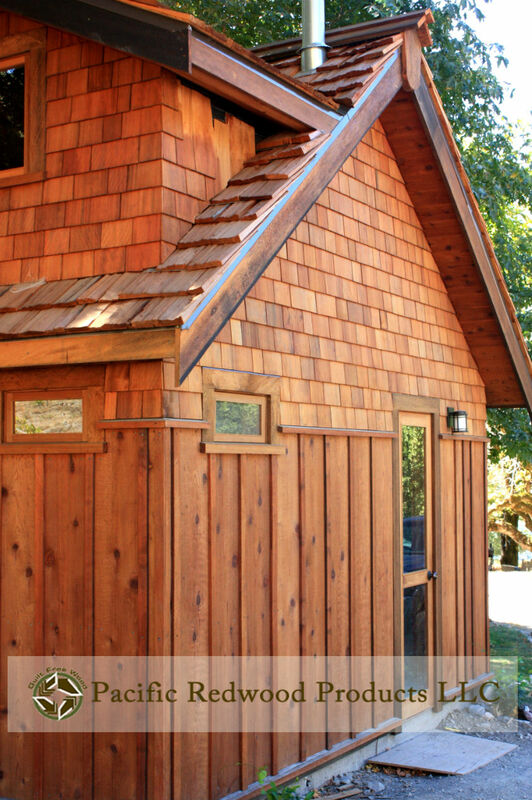 Our redwood shingles give an authentic and warm feel and blend well with the environment. 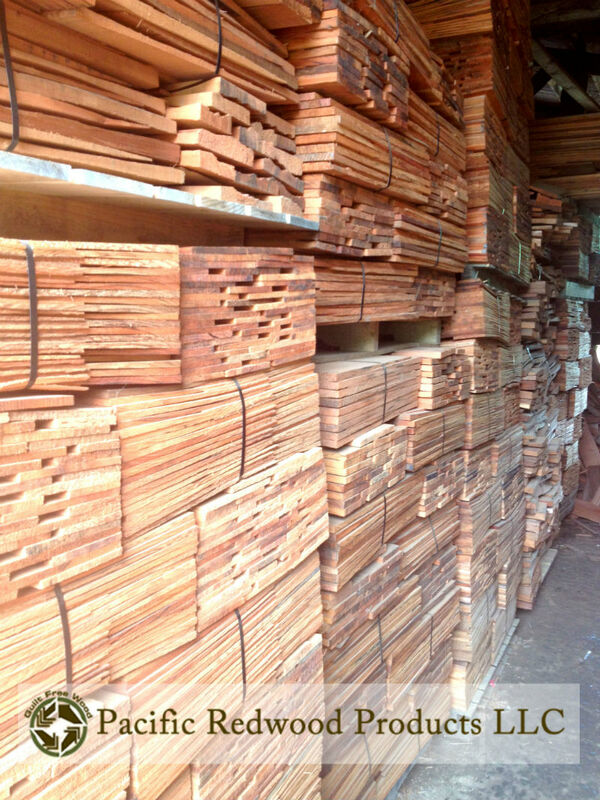 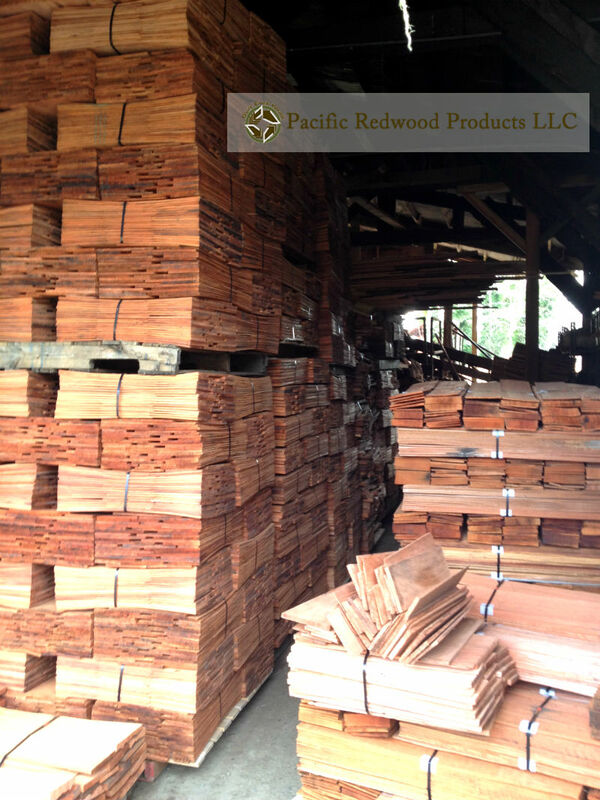 Largest Inventory of redwood shingles in the world! 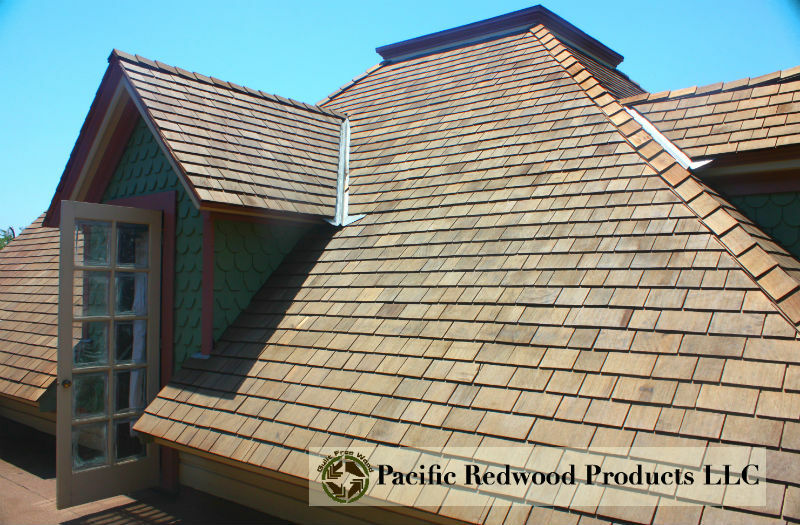 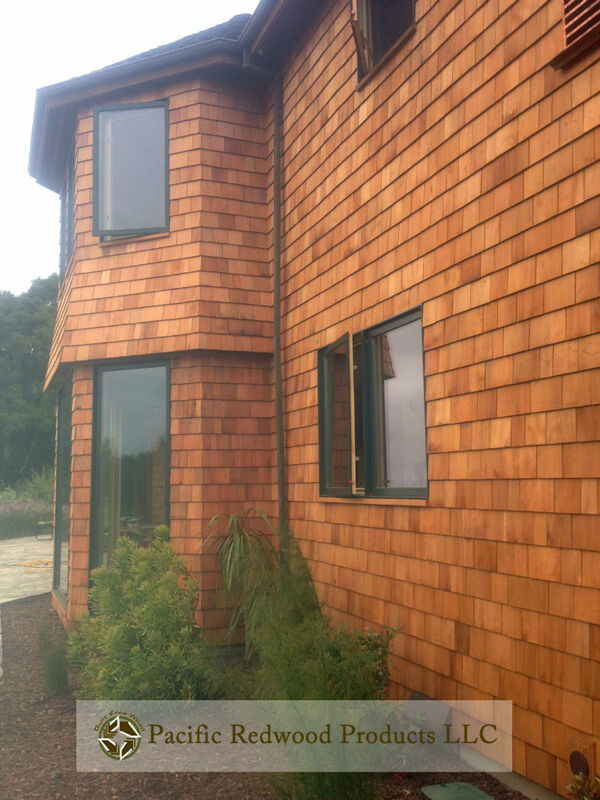 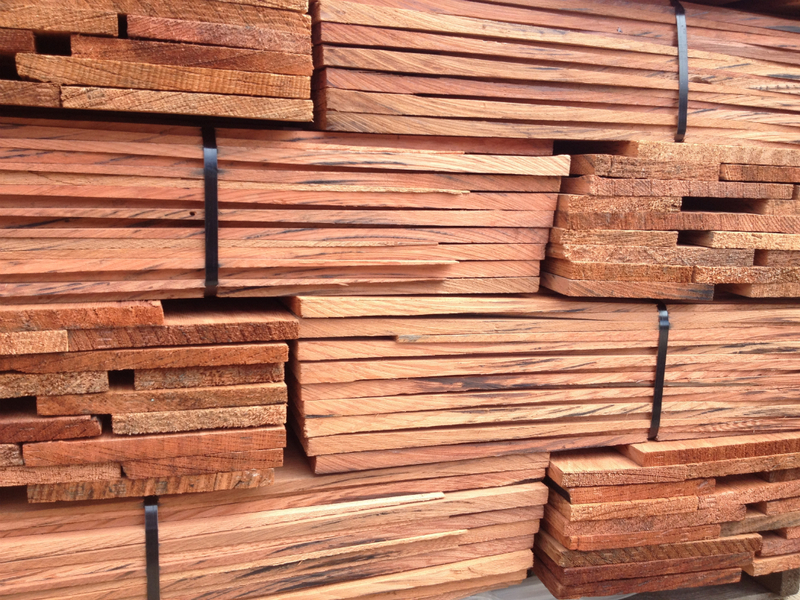 These are our #2 FiveX redwood shingles- More pattern and variation than #1s…beautiful!